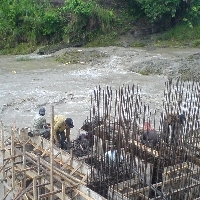 site for the intake in Nias. intake from the river rapids. CHALLENGE. The North Sumatran island of Nias was heavily damaged by large earthquakes in 2004 and 2005. 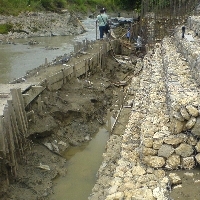 In the interior highlands of Idanoi, a primary water source for the central region, frequent flash flooding posed safety hazards and led to high turbidity in the water. An existing water treatment plant in the area was inoperative. RESULT. 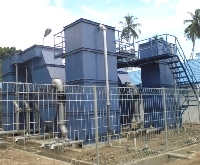 Construction of the WTP and intake system was completed safely, within budget and on schedule. 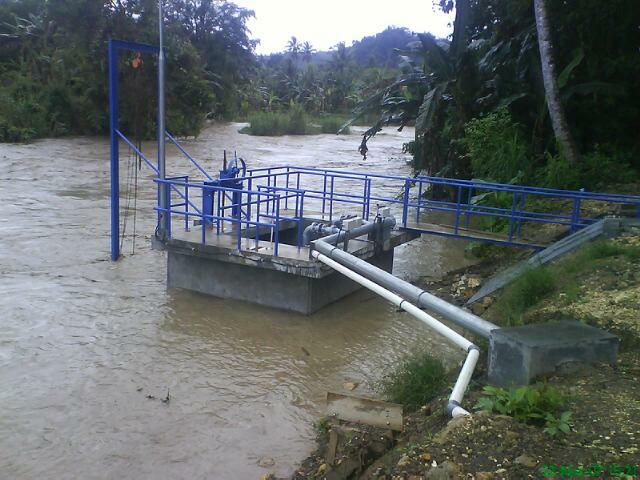 Residents of Gunung Sitoli gained access to a safe and stable source of clean water.